From NOW until April 15th, 2018 save 10% on Racingline performance upgrades for your VW/Audi! 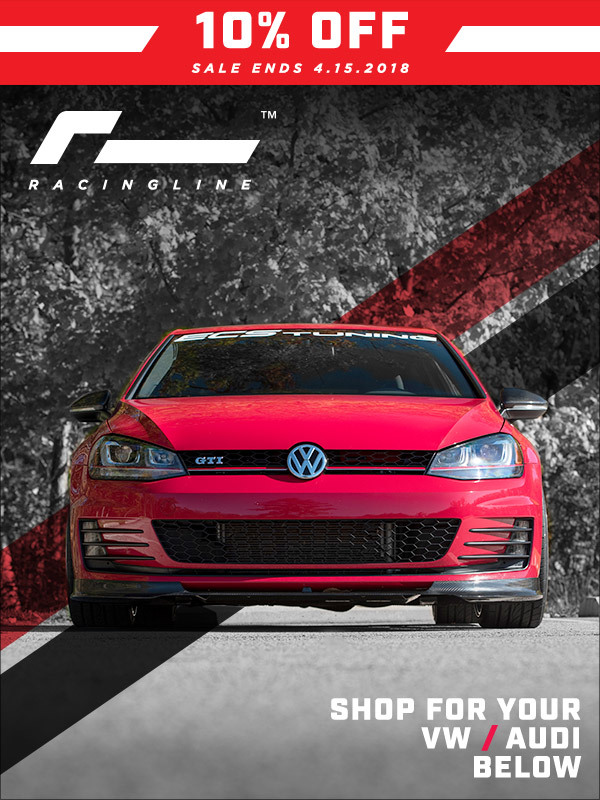 Click HERE to shop Racingline | VWR performance upgrades for your VW/Audi! Sale Alert! Service Kits for your Audi B6 A4 1.8T up to 20% off!! !